Many Shifts are happening to us Humans as we are receiving new sound and light codes from source, the great central sun and becoming 5th dimensional HUmans. HU means GOD, so God-like, as “Created in the image of God”. As we unravel and release the illusions of the slow rotational 3rd Dimensional paradigm, we are spinning and spiraling up a notch, so to say or into another octave of consciousness and out of 3d time. We may be hearing high pitched sounds and feeling much heat in our chakras, cells and meridians. This then can cause more symptoms to be released and we can also feel chills and dizzy and more. We must allow and be patient and not fear these changes. There are many ways to balance one self, best breathe into the heart and go into nature. Chanting is great too, as sound is a bridge to the higher dimensional self and the I AM presence. If anyone needs assistance with understanding, integrating and balancing, I channel your personal SOUL CODES in Sound and cosmic light language and offer Holographic Healing and re-balancing, as well as intuitive life coaching – you can read more on my web home page and email me to the address on my Homepage, if you wish to connect with me. Below, I now share a great channeling via Méline of Master Merlin and a star group called the Tsolians about the shifts. The Timelines as we know them, are blending into this one moment of Now experience where everything abides as one in the same space and momentum. You only choose where to place your focus and being conscious of this is what we have been doing for so long. Being conscious of what we focus upon and now everything shifts and releases, moving us through all of the timelines we have created for ourself to experience what we are and abide in as a consciousness. The more you become aware and conscious of ALL of your SELF, the more you experience Multi-Dimensionality. The team explained to me that there is a wave of Source Code energy currently entering our Solar System as well as in the Earth’s Magnetic field. The Earth grid is charged with super charged energy circuits which are blending with the incoming Source Code. 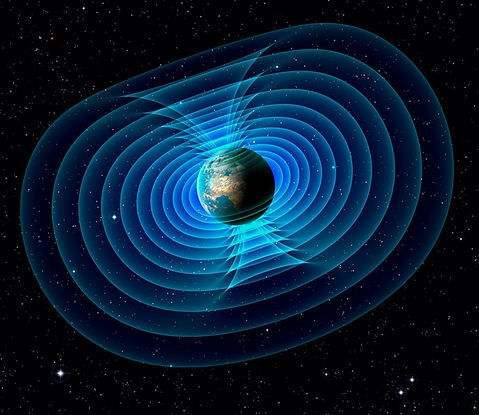 This touches and affects all Magnetic fields around the Body + matter. It enters and travels through the core of all things and all life. This applies to our own DNA as well as within matter. I’m going to share info that was conveyed to and through me early this year and I’ll add some more intel from the Tsolians and Master Merlin about this as well as they explain what this is so you can grasp the effects of it and more so recognize it in your own streaming of reality and that of our world. It feels like a gigantic Wave of certain energies that are bigger than we can understand but most definitely feel. It ingrains in our Being and into the core of all things ~ yep even in things and not only in Beings. So this brings us to the issue of Matter ! 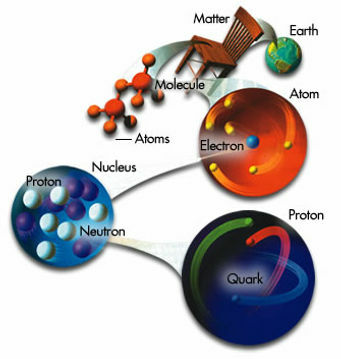 All that is part of the structure of matter is affected by it as well. The Tsolians explained to me that what is hitting our Solar system now is of such vibrations equivalent to Source Code, manifesting its way through the vessels and forms of ALL things and Beings straight to the Core. What happens then is that these vibrations of Source Code break down the atomic codes which are like our human DNA a sort of code DNA for matter (devices and material things). These atomic codes hold the information of how something is shaped and held into form. This even applies to a chair, a table, a car, a computer, a house, bricks, structures and so on…. This atomic code being broken and erased gives the opportunity to reshape itself into a whole other form/appearance if there is space for it. It all happens from the inside of the core, emanating to the outside of matter as to where it will shift in appearance or simply dissolve if there is no space for it to reform. The crumbling down of things, worlds and structures is not to be taken litteraly, the Tsolians explain. The crumbling down symbolizes the fact of the Atomic codes breaking down which holds the information of the vast shape and form. So what we are witnessing and experiencing now is the final fall of 3D in the lowest and last level of manifestation: the physical realm. Hence this all goes into levels and phases that go gradually step by step but strongly ~ we have our bodies, nervous systems, fields and so on to take into account. I am not claiming that what I share with you now is THE only truth and understanding of it, there are many and this is mine what is shared through my heart and vessel. If you take a closer look at it, you shall recognize this implying the workings of a potent Source of Power which is instigating the consciousness elevation on our Planet and SOLAR system now. Any chance that the discovery of a ninth planet in our solar system, the recent discovered super Nova or other revelations of disclosure is just a coincidence?! It is all interconnected to what is happening in the Cosmos, our Universe, Solar system and planet: ASCENSION. We are being disclosed to truths, new revelations that are bigger and beyond anything so far. In order for these new revelations to be able and enter we need to remove all our old convictions, attachments and beliefs… which brings us back to the crumbling down of our systems and 3D experiences…it is all part of what we wanted and graduated from, now we bring the graduation to our planetary collective world vibration. I AM so grateful to be a part of it and to be able to witness this AND partake in it. “ There is a super cluster on its way to Earth. This super cluster are fabrics of waves of energies which will bombard not only the Planet but the entire Solar system. A term known as “tsunami” can define this event all too well. It is beyond your control and anything but stoppable. It is nature’s and Gaia’s Divine plan coming into fruition and so is it yours ~what you came to do and to bring at this time. Be the conscious participant in this matter to facilitate your interaction with this wave. All is a matter of focusing on the inner heart as to where these waves will pass and enter your being like a merging. The Tsolians as well speak of the same issues in the audio intel shared above. They name it the frequency of Gamma Waves and a power of more than 1,000 stars bursting… We do not speak of the Super Nova that occurred recently, this is another Magnetic field! Imagine the unimaginable! But it is present and here. We can only go with it, as Merlin says, and experience what it does to us and what it brings about. “ This is a massive shift in consciousness that is beyond the rate you have known in past ancient times so far. This means that the many wars you have created and experienced as a collective Human consciousness will come to end after an explosion of eruptions. These energies will have to end through expression in order to be set free. You cannot shush the inner child wanting to come out, is it not?! It is the same with this mass awakening and shift in consciousness, it will definitely bring about some upheavals and massive eruptions on all levels. It all has to come out, hmm?! You cannot hold it within you anymore and as everyone is in his/her own reality, many time-lines will pass, shift and cross each other on the shared horizon you have in common and that is Earth my friend! Thus, what this entails is that ~ depending on the consciousness expansion of each man, woman and child on Earth and the choices/creations that are being made ~ massive energetic waves are causing eruptions of the many fractals one has within to be exposed and disclosed to not only the Self but to the entire world as well. In the meantime while writing up this article another discovery is disclosed to us about a giant “invisible” energy entering in our Solar system being 3000 light years away from Earth. It makes me wonder if this is what I felt being so big of energy and what the Tsolians and Master Merlin mean?! Go figure! 🙂 This “might” be connected to the latest reports of these loud undefined noises in the sky ~ Something is seriously hitting Earth’s and our Magnetic field ! That can bring forth these noises as well..
We are reaching a HUGE climax on December 26th, 2016. The start of the NEW and the final release of the old in tangible ways. We are already seeing this and feeling it by heart. DONATIONS for Meline on her website. http://www.melchizedekia.com -see paypal link on top.